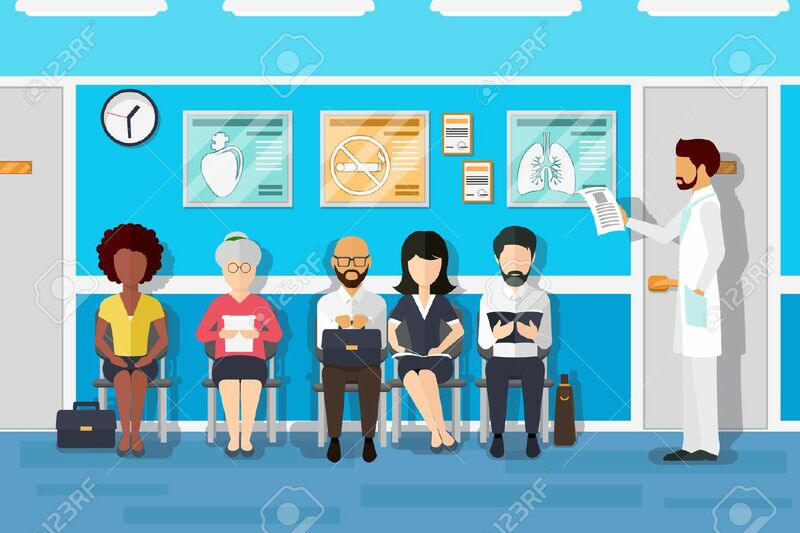 Patients In Doctors Waiting Room. Patient And Doctor, Patient.. Royalty Free Cliparts, Vectors, And Stock Illustration. Image 62382143.